Play to test and score 9 sales skills you learn in Practice. 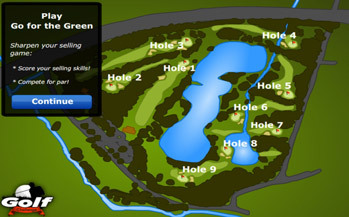 Play a fast virtual golf game on your laptop or desktop. Have fun testing your sales skills to sell more. Check out Practice. Learn more about the 9 skills. This is great. I’m learning and I’m having fun! Practice and Play gives me a chance to have fun while I learn. It made me aware of where I am with my selling and how I can get better and sell more. 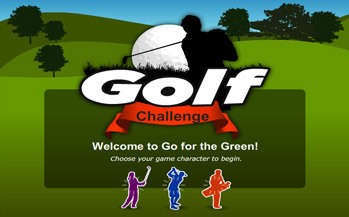 Go For the Green Selling Challenge is a fun and unique way to sharpen your selling skills. Getting back to basics is always a great way to refresh skills and perhaps remind you of some you’ve forgotten. I really enjoyed Play and had fun refreshing my skills! Lois Hollinger, VP Managing Partner at Baysinger Search & Assoc.